Although QuickBooks automatically adjusts your inventory quantities after every purchase and sale, sometimes you still need to adjust them yourself from time to time. QuickBooks allows QODBC to access item inventory adjustment records by modifying table InventoryAdjustmentLine. 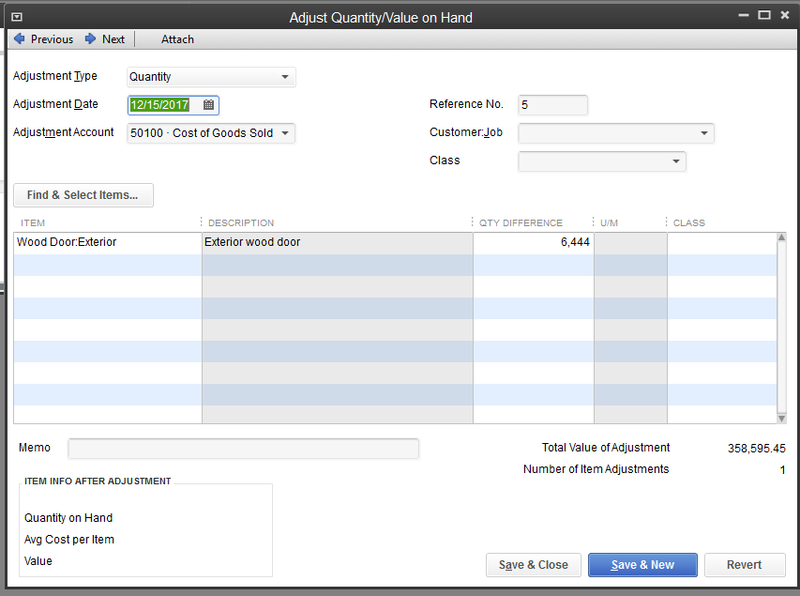 This article will show you how to create an Inventory Adjustment record using QODBC. First of all please create new MS Access database & link InventoryAdjustment, InventoryAdjustmentLine table. There are two fields InventoryAdjustmentLineQuantityAdjustmentQuantityDifference and InventoryAdjustmentLineQuantityAdjustmentNewQuantity in the table "InventoryAdjustmentLine". Both of them can be used to insert records. The value in this field stands for the adjust quantity. For example, if you need to reduce 100 units of this inventory, value this field -100. Here is the result in MS Access. Value "6600" in the field stands for the quantity after adjustment, that's the only difference. You can add the field "InventorySiteRefListID" in case you have turned ON multiple inventory sites feature in QuickBooks.